Illinois will begin paying for services to help young children with developmental disabilities despite not having a budget in place and warnings from lawmakers that the state is spending billions more than it's taking in. Illinois Comptroller Leslie Munger said Wednesday her office determined the early intervention services, provided to children up to age 3, should have been paid for under a previously issued consent decree that requires some social services be funded. She said she learned last week the program was "slipping through the cracks" and some providers were about to suspend programs. After consulting with attorneys, she decided payments to providers should be processed immediately and are a "relatively low amount" compared with the state's overall budget crisis. Republican Gov. 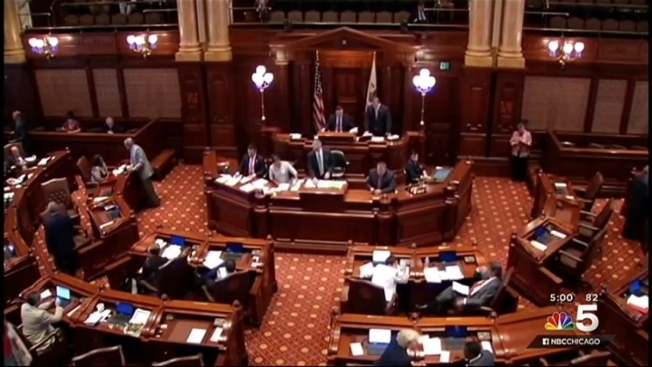 Bruce Rauner and majority Democrats remain far apart on a budget deal for the fiscal year that began July 1. Under state law and various court orders, many bills — such as state payroll, pension payments and some social services — are being paid at a pace that, if it continues throughout the fiscal year, could lead to multibillion-dollar deficit. Other payments can't be processed because the comptroller's office doesn't have authority to cut the checks. Munger said her office is being "bombarded" with about 5,000 phone calls per week from providers and vendors hoping they'll be paid or wondering when they might see their money. It's led many social service agencies to lay off staff, and others have closed. The former businesswoman who was appointed by Rauner to fill the term of the late Judy Baar Topinka again called on legislators and the governor to reach a budget deal. She noted that in 2014, Illinois paid more than $50 million in late fees to providers and vendors — a number that will be significantly higher this year as the backlog of unpaid bills grows. "This is no way to run this state," she said. Munger also said that suggestions by some people that she's a "mouthpiece" for Rauner are wrong. Munger is seeking her first full term in 2016, and Democrats already have linked her to Rauner and proposals they say hurt working people. During a speech at a GOP gathering last month she described herself as Rauner's budgetary "wingman," and frequently advocates for Rauner-backed agenda items such as changing workers' compensation to make it less costly for businesses. "I'm not saying this because the governor tells me to say this," Munger said. "I say these things because I believe it." She said she disagrees with Rauner on some issues, such as his cuts to subsidized child care for low-income families that she said were "too deep."